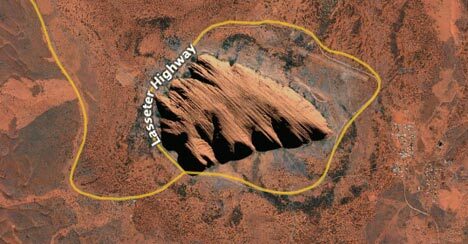 Last week Australia got directions in Google Earth, and just now it got roads too. The alignment between road data and imagery looks good in Sydney, Perth and Canberra. In Melbourne, not so much. Thanks to the ever-vigilant Michael Smalley and Neil Grech for the heads up. I was curious as to how KML search results might be ranked, and sent Google Earth CTO Michael Jones some questions. I see that Directions Magazine beat me to the punch:-). A good read in anticipation of a forthcoming post here on Ogle Earth. Also read Avi Bar-Ze’ev, who riffs on the metaversal implications of geospatial search. What is Google Earth? It’s a stand-alone application, but it can’t live without the web. InformationWeek looks at the growing field of software-as-a-service, with functionality delivered via the web to a stand-alone client, as opposed to the browser. One danger: That we’re entering another era of platform incompatibility. The solution: Making multiplatform versions of the client, as Google Earth and iTunes do. A real no-no: Using the browser to deliver functionality, as Microsoft Virtual Earth does, but still not making it interoperable with multiple platforms. Mikko at Finnish PC Security company F-Secure writes that they use Google Earth to visualize network attacks. Great anecdote follows. It turns out that the Pentagon is prepared to stop a cyber attack by bombing the source. Literally. A little geeky but isn’t a stricter definition of the web a subset of the internet accessed by browsers? If so, GE uses the internet not the web. Its a pedantic point but more interestingly, it says we’ve come full circle: the internet didn’t really take off until the web came along but use of iTunes, GE, skype etc. is similar to what the pioneers with the internet were doing pre web.